The individual (or bank or trust company) that is appointed to settle the estate of the testator under a will is called an executor or personal representative. If there is no will, a person, usually a family member, will be appointed to deal with the decedent’s estate, and the appointed person is called an administrator. Whatever the label is, the person has the duty to gather and identify the estate’s assets and manage and distribute them according to the decedent’s wishes. A deceased’s estate consists of whatever he/she owned at death, such as businesses, bank accounts, stocks, bonds, mutual funds, retirement accounts, pensions, real estate, timeshares, automobiles, boats, aircraft, patents, trademarks, and life insurance proceeds. Before distributing these assets to the beneficiaries under a will, or the heirs under the intestacy law, the executor or administrator has to collect all the assets the deceased owned, and pay off the liabilities that the deceased owed. Therefore, a complete list of the deceased’s assets and liabilities is a prerequisite to fulfill the duties as an executor or administrator. However, due to lack of expertise and access to this crucial information, executors and administrators often feel frustrated when they are trying to locate the deceased’s assets, and unveil their outstanding liabilities. Therefore, hiring a professional asset search company is the best and most cost efficient way to locate and uncover assets and liabilities in a timely manner. 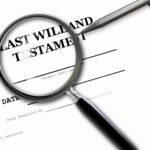 Likewise, it is also important for the heirs to conduct a thorough search of the deceased’s estate if they have any suspicions that the executor or administrator is or has not satisfied their due diligence in identifying the complete picture of the deceased’s assets. n) Present and Prior Employment information. For a cost of only $ 185.00 for a nationwide asset and liability search with a turnaround time of one (1) to three (3) days, conducting an asset search should be the first step when probating any estate.